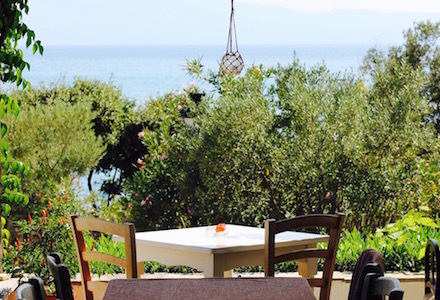 Halkidiki is perfect for a still summery getaway weekend in autumn. Dive into the still warm sea water and indulge yourself with early evening dinners after a boat trip or just reload your energy with a hike along the stunning beach. IRMA introduces her favorite places. The best time to come by is for lunch, enjoying the wonderful food on the small hotel terrace. Ask what the chef recommends that day and you will not be disappointed, promised! If you come by boat, make a tour along Mount Athos and watch the monastery from far away (you are not allowed to get close). You might need a break from fresh fish and this little restaurant along the main market place calls for delicious meatballs in tomato sauce. The service is excellent and you can get lost in watching an evening on the main square. This is how traditional Greek cuisine tastes when modern molecular cuisine and philosophy come together. 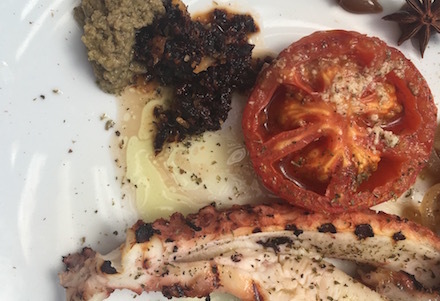 They promise a sea of tastes, and this is indeed what you can expect, from sea bass carpaccio to grilled octopus. Order the cheese cake for dessert – it’s one of the best I ever had! You can find pretty much anything in Halkidki and making a choice of your perfect hotel is very personal. 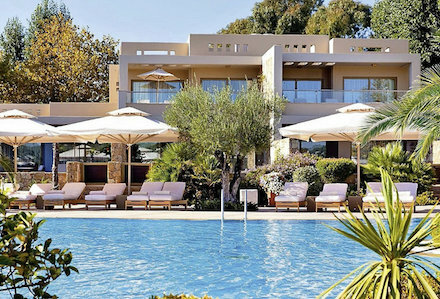 We like the Villas at Sani Asterias for renting a townhouse with a private pool just for a weekend. If you don’t have much time, everything will be organized, from the sailing trip to the spa appointment. 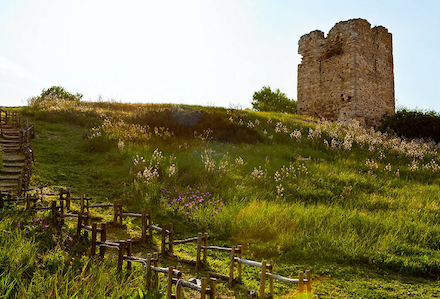 For your inner self and if you need to really get away from it all, we suggest the little Hotel Skites at the bottom of the holy Mount Athos, which is a place to dream, write and go for magnificent walks. Everything is very simple but that might be exactly what makes this place so magical. 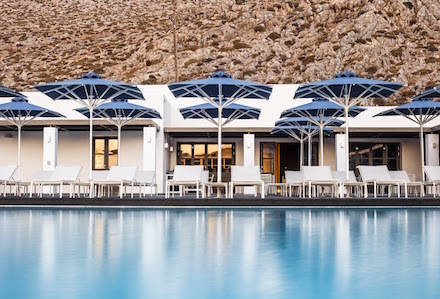 Not in Halkidiki but on one of my favorites island in Greece is the Anemi Hotel on Folegandros Island. 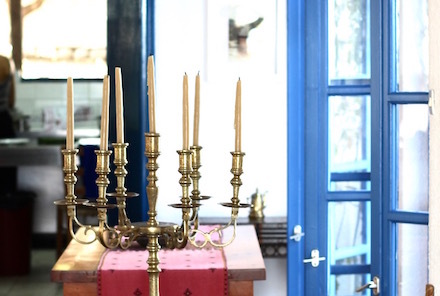 It is a typical Greek boutique hotel with lots of love for details and beautiful crisp colours. Book a private Yoga class and your day will be perfect. The Bousoulas hiking tour: A magnificent 3-hour walk in a Mediterranean landscape with a variety of flora and fauna (starts from Sani Beach). 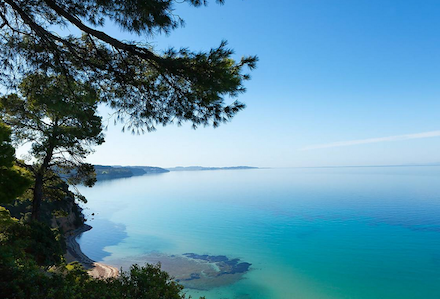 The Sani cliff trail: A magical 4-hour walk that offers a breath-taking view of an unknown Kassandra landscape (starts from Sani Club). 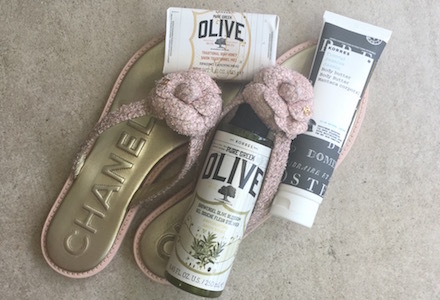 For a weekend we rather stay at the beach but when we go shopping we like to look for the special things, like vintage merchants in little villages (almost everywhere) or step into a pharmacy (Sani Resort) and stock up on natural remedies and Greek beauty brands. And believe it or not but in this region in the middle of summer you might have the biggest selection of fur coats for very reasonable prices. So think ahead and buy a fur coat for winter. This well-selected deli offers great finds to bring along for your friends, to get your Christmas shopping started or simply some Greek flavours to stock up your own kitchen. The Greeks buy their beauty products in a well selected pharmacy and the one at Sani Resort is a great place to have endless beauty talks with the well informed pharmacist who can advise you on what your skin needs. 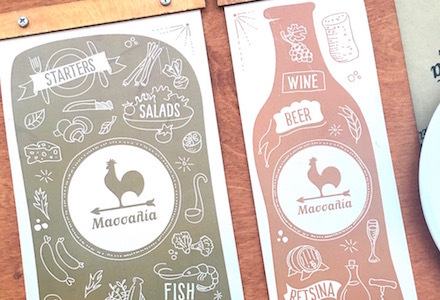 We love brands like Apivita and Korres. 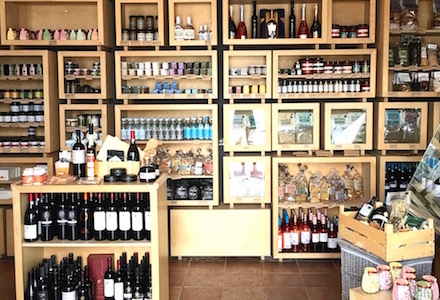 This well selected boutique in Sani resort has its own beach collection, great swimwear by Orlebar Brown and also Greek scented candles, children’s wear and a few home collection items. A great place to get an idea of what’s Greece most wanted.